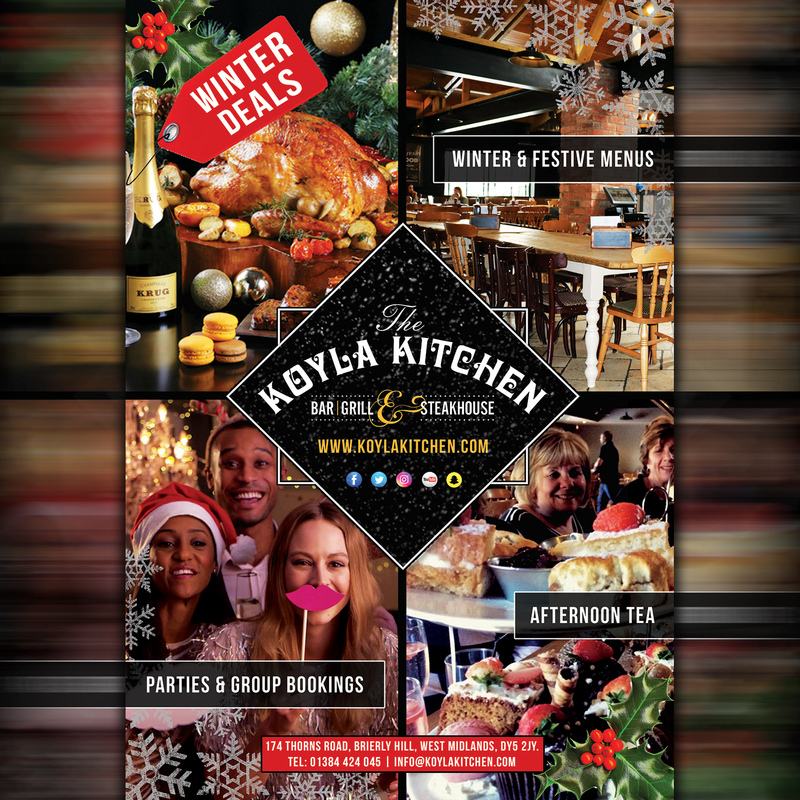 Winter & Festive Deals at The Koyla Kitchen. Book in Advance don’t miss out! Winter Deals! Festive Menu’s, Afternoon Tea, Cakes & Sandwiches, So much going on at The Koyla Kitchen. Group Bookings & Parties? Look no further! We are now taking advance bookings for festive days & events! Don’t leave it too late guys! The Koyla Kitchen – Bar, Grill & Steakhouse. 174 Thorns Road, Brierly Hill, DY5 2JY. UK. 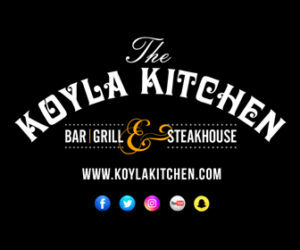 Previous PostPrevious Bangers & Mash – Comfort food at Koyla Kitchen. Mmmmmm! Next PostNext Exclusive Offer! Kids Eat for only £1 during Half Term Holidays! Monday – Friday. 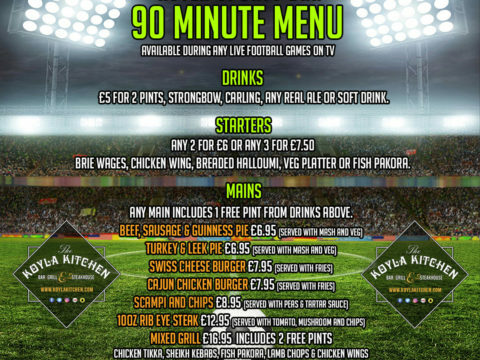 The 90 Minute Menu available now in The Koyla Sports Bar. 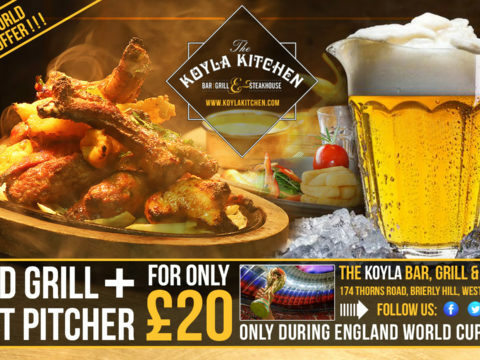 The Koyla Kitchen World Cup 2018 Special Offer!